I find Irish weather very unpredictable. During this summer some days have been rain washed, some over cast and gloomy and a couple of times we are blessed with bright sunny weather. Such unpredictable weather poses more than one problem. For one thing one can't decide how to dress up. Each day is different, so simply cannot do away with the woolen clothes or shove the quilts and pull overs in the overhead drawers. You buy a big tub of ice cream and from then onwards, the weather gets cold and you feel like having Onion Bhajjis with a cup of masala chai. Today is one of those few bright and sunny days and I was craving for a cold flavorful drink. 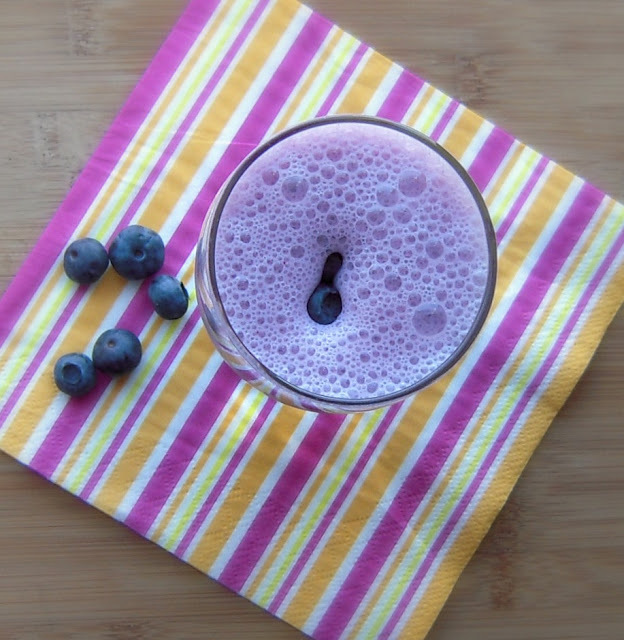 On going through my fridge I found a bottle of 'Home Made Blueberry Syrup' which I usually use for making Blueberry Lemonade. But lemonade was not what I wanted to have and I whipped up this Lassi or Smoothie as it is called in this part of the world. 1. 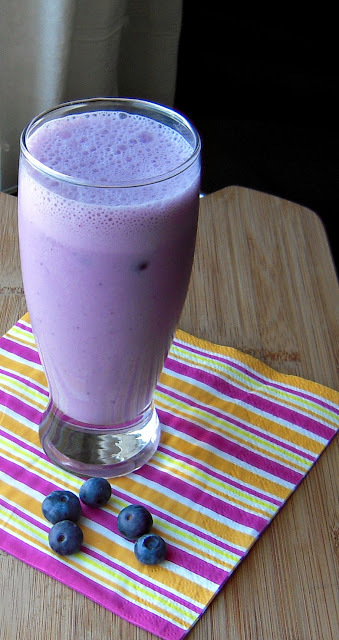 In a mixer jar add yogurt, water, ice cubes and blueberry syrup and give it a quick whiz. 2. 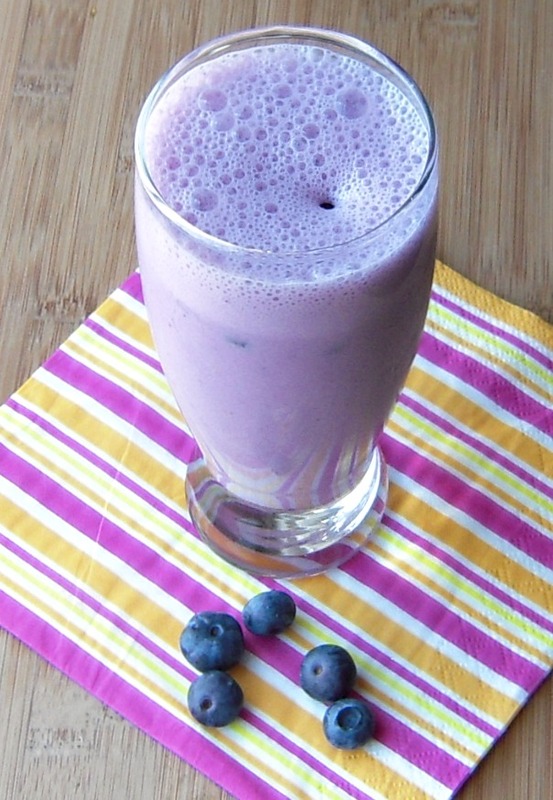 Pour into a tall glass and top with fresh blueberries. Serve immediately. Linking it to my event - Cool Summer Sips. These pics are making me seriously thirsty!